Presto 3510 Belgian Waffle Maker is on sale right now at Amazon for just $29.99. This Waffle Maker has a near 5-star ratings by a lot of people. So, it is a good quality product. The price beats the same at Kohl's, Bed, Bath and Beyond or Williams and Sonoma. This waffle maker is also excellent at making thick waffles. You can easily fold and store it standing up. So it doesn't really take any space. 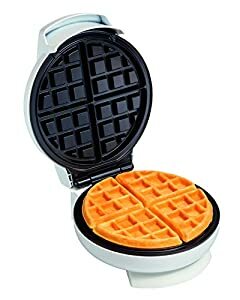 BestBuy.com currently has marked down their highly rated Waffle Maker in black to just $7.99 (reg. $14.99). Plus, you may be able to opt for FREE in-store pickup (if available near you) OR free shipping to home on a $35+ order. You can also get this maker for only $7.99 too! Amazon now get this highly rated Oster Stainless Steel Belgian Waffle Maker for just $14.98 (regularly $23.99). This is #1 Best Selle rin Waffle Irons. 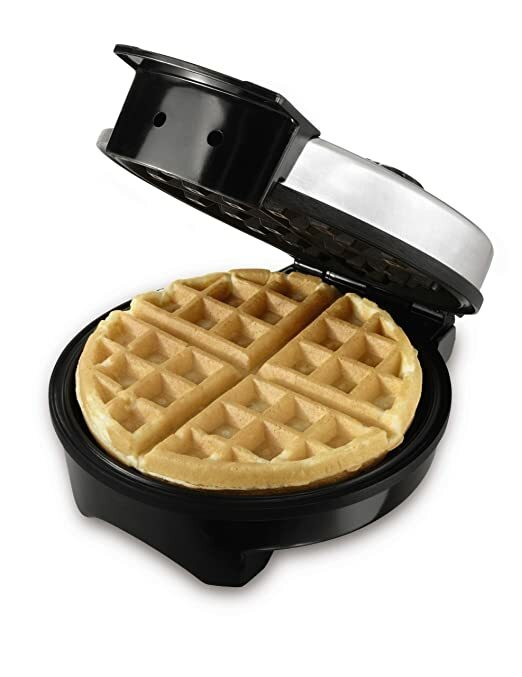 This Waffle Maker has a ready indicator light so you know when waffles are just right, AND you can adjust the temperature for light and fluffy or crispy waffles! 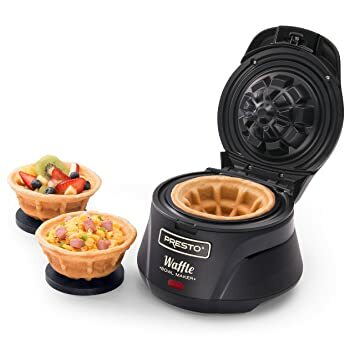 Amazon are offering up this Presto Belgian Waffle Bowl Maker for just $15.29 (regularly $27+). This waffle bowl maker features non-stick grids for easy waffle removal and clean up. It makes a 4″ fluffy waffle bowl that you can fill with ice cream, yogurt, fruit, or make a savory breakfast bowl and fill it with eggs, meat and cheese.